Our 7 day safari will bring us into the homes and lives of energetic chimps in Kibale Forest as well as the resplendent savannah plains of western Uganda. 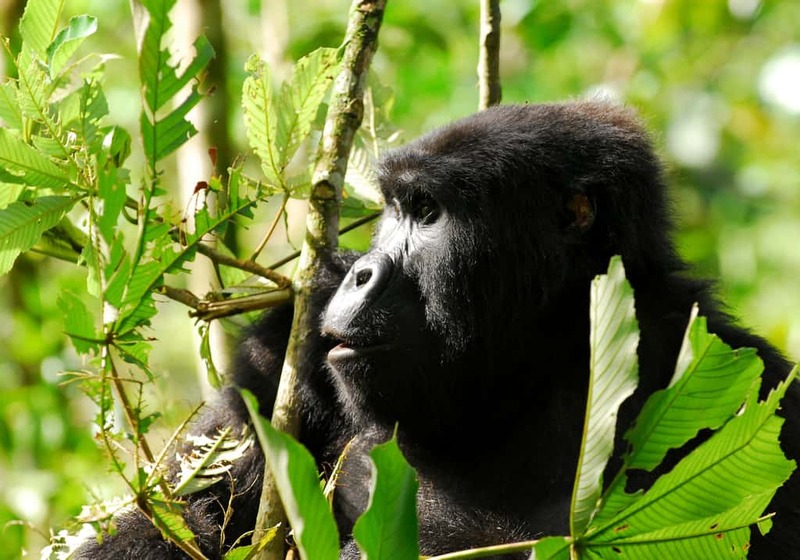 It will place us in the presence of 450-pound Silverback gorillas and their families in a touching experience in the ethereal realm of Bwindi Forest. This is the perfect trip for those that are less enthusiastic about spending long hours on the road and would like to get more value for their money. Upon arrival at Entebbe International airport, you will be received by us and driven to your booked accommodation in Kampala or Entebbe. From Kampala we journey through the rolling rural landscapes of Central Uganda. Enjoy a short respite at the Equator for coffee, pictures & craft shopping, before moving on to Lake Mburo. We check into our booked lodge in time for lunch, and later set out for an afternoon Boat Cruise on the serene lake, where we hope to spot hippos, crocodiles and aquatic birds. As dusk falls, an exhilarating drive through the savannah gives us the opportunity to see the vast array of wildlife that call this breathtaking landscape home. Wake up to a steaming cup of coffee before we head out for an early morning game drive. Upon return from our short adventure, we are treated to a full breakfast in preparation for our journey onward to Uganda’s most scenic park. En-route to Queen Elizabeth, we stopover for lunch in Mbarara, the largest urban hub in western Uganda. We enter Queen Elizabeth National Park in time for an evening game drive on the Kasenyi trail where we try to catch a last-minute glimpse of the wild game. Night falls on us at Queen Elizabeth Bush Lodge. After a sumptuous breakfast, we set out to the Valley of the Apes, the stunning Kyambura Gorge. Stretching one kilometer across and plunging 100 meters deep, this gorge is an attractive habitat for primates and a rich diversity of birds. After a short briefing, we plunge into the depths of the gorge, tracking habituated chimpanzees as they go about their day. With luck, we will also spot the black & white Colobus monkeys, and red-tailed monkeys. In the afternoon we float down Kazinga channel in the company of the hippos, crocodiles & aquatic birds gathered at its shores. We set off from Queen Elizabeth, destined for Bwindi Impenetrable Forest National Park. But first, an excursion to the Ishasha plains to set eyes on the mystifying tree-climbing lions lazing in broad fig trees. From here we set a course for Bwindi. In the evening we check into our booked lodge in time for dinner. Wake up to the crisp & refreshing wild scent of the Bwindi forest, and after a delicious breakfast, plunge into the dense greenery in search of mountain gorillas. Whether the trek takes minutes or hours, the reward is equally exhilarating; we peek into the intimate family lives of these massive and gentle primates. Enjoy some refreshments at the lodge, and later, set out on a community walk for a chance to interact with the local people and catch a glimpse into their unique culture. Bwindi Forest slowly falls to the backdrop on the return trip to Kampala. The safari ends here, but the adventure continues, calling you to return once again. 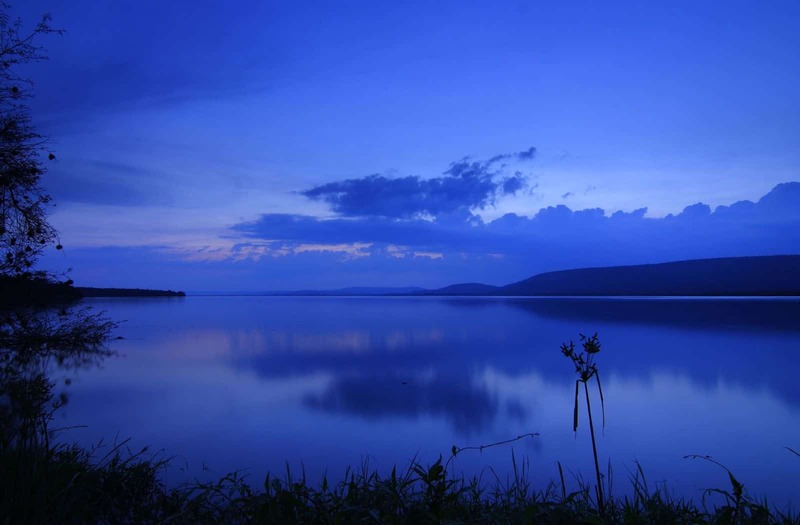 Note: You can choose to add another day or two and get a tour of Uganda’s deepest lake whose scenic aerial view featured in the popular Marvel film, “Black Panther”. * Availability of accommodation, permits and activities is not guaranteed until confirmation by your contact person at Bushman Safaris. Permits are sold on ‘first come first serve’ basis.